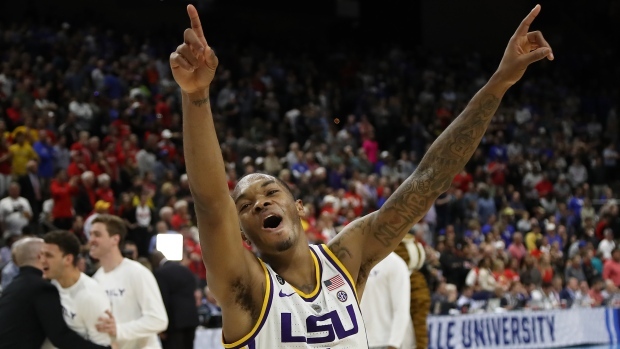 JACKSONVILLE, Fla. -- Tremont Waters drove by three defenders and scooped in a banking layup with 1.6 seconds remaining to give third-seeded LSU a 69-67 victory over sixth-seeded Maryland in the second round of the NCAA Tournament on Saturday. The Terrapins trailed 46-31 with 16 minutes remaining after coach Mark Turgeon was hit with a technical foul. But the call seemed to ignite -- or maybe infuriate -- Maryland. Maryland entered the post-season with the fourth-youngest team in the country, according to KenPom. Kentucky is the only team in the NCAA field with a younger roster. So the Terrapins could be in position for another run in 2020.